Debut Album on 180g Audiophile Vinyl! 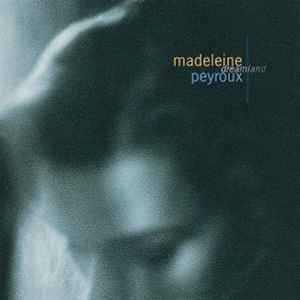 Dreamland (1996) is the first album by singer, songwriter, and guitarist Madeleine Peyroux. This wide-ranging set features Peyroux singing swing standards, originals and tunes that hint at country and folk music. Her supporting cast, which changes on each selection, includes a restrained James Carter on tenor and bass clarinet, Marc Ribot on dobro and guitar, trumpeter Marcus Printup, pianist Cyrus Chestnut, Vernon Reid on guitar and violinist Regina Carter, among others. Highlights include "Walkin' After Midnight", "I'm Gonna Sit Right Down And Write Myself A Letter", "La Vie En Rose" and "Muddy Water".